It was 2013. Canada was set to play Costa Rica in a friendly at Commonwealth Stadium. 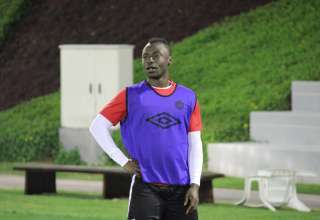 Randy Edwini-Bonsu was on Canada’s roster for the game and, as part of the promotion for the national team, he was part of a group of Canadian players who attended an FC Edmonton match at Clarke Stadium. He was at an NASL game in his hometown. At that time, he didn’t think he’d actually ever play for FC Edmonton. 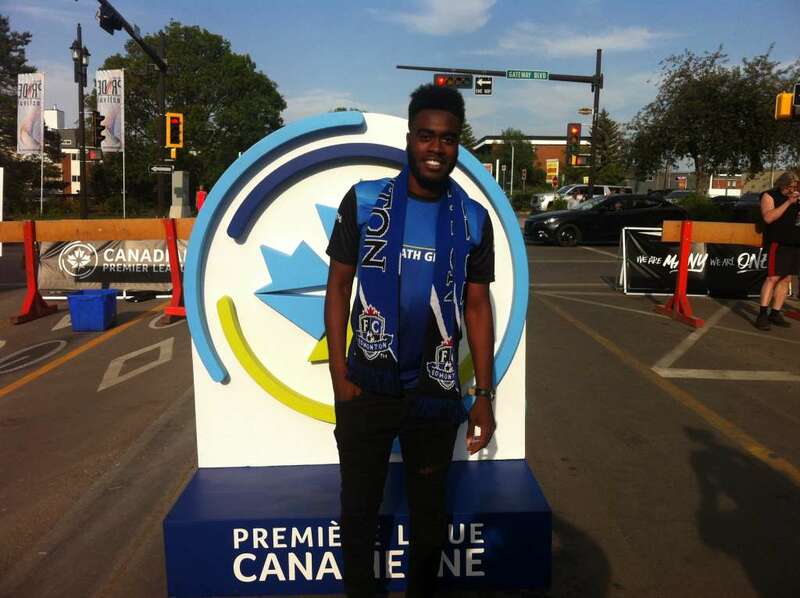 “I met (co-owner Tom Fath) and shook his hand, I didn’t know I’d ever wear that jersey,” said Edwini-Bonsu, who, along with Allan Zebie, were revealed Thursday as the first signings in the Canadian Premier League history of the Eddies. 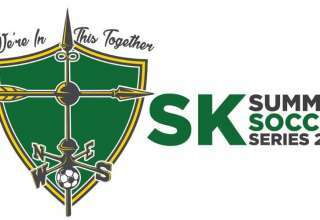 The two player announcements were part of a league-wide player reveal, as all seven CanPL teams simultaneously introduced their new players. Edwini-Bonsu has been in Europe for close to a decade in after he spent time in the Vancouver Whitecaps system. Among the teams for which he’s played: AC Oulu, Eintracht Braunschweig and, most recently, Tennis Borussia Berlin. FCE’s Allan Zebie enjoys the festivities. When he’s at his best, Edwini-Bonsu can offer pace and passion. He’s the kind of player who shows his emotions on the pitch, and has a fiery personality when he crosses the lines, though he’s soft-spoken off the field. FCE coach Jeff Paulus said he wants players on his team who have that fire. He said he wants players who not only play with intensity, but practice with intensity. He doesn’t mind “flare-ups” in training sessions between players, because those things happen when his charges are passionate about what they do. And he compared REB to a former FCE player and NASL veteran who was no stranger to getting stuck in. The other piece is Canadian Allan Zebie, who was one of the players the Canadian Premier League used in its first-ever promotional video. 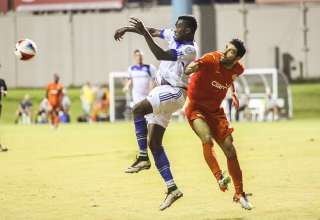 Zebie played 54 NASL games with FCE. 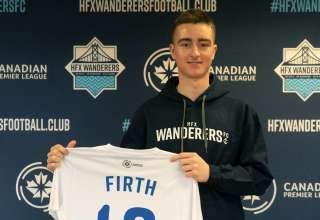 And Zebie, as a guy who’s become a fixture with the Eddies, has embraced the role of the club’s sort-of Drake; he’s talked to a few players about the CanPL and FCE. While the Eddies have only announced their first two players, Paulus said there isn’t a lot of room left at the inn. He said that some NASL players will be coming to FC Edmonton, and that some of those aren’t FCE alumni. But they’re players Paulus knows very well from his time as the Eddies assistant coach.